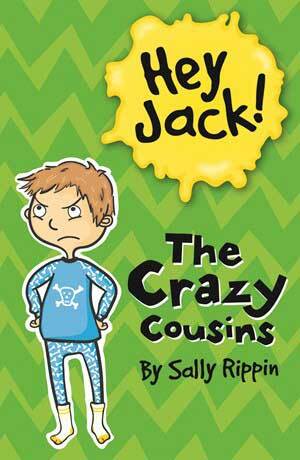 Hey Jack! is a series of illustrated chapter books for reluctant and emerging readers. Jack is best friends with Billie from the Billie B Brown series and, like his tom-boy best friend, Jack is the perfect antidote for young boys who feel like they can't relate to super heroes or sporting stars. While Billie likes to dress-up, climb trees and kick a soccer ball around, Jack is quieter and less impulsive. He might be shy, but he shines in his school musical, builds excellent Lego castles and even makes his own robot costumes out of cardboard boxes. Both the Billie B Brown series and Hey Jack! are perfect for young boys or girls who want to read about life-like characters to whom they can relate.